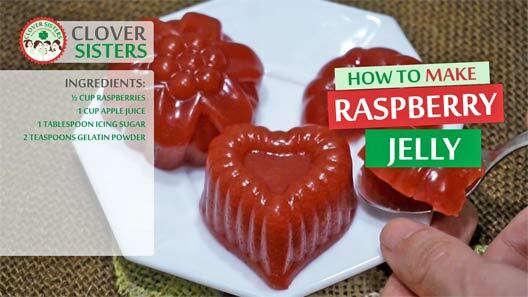 Fresh raspberry jelly is a light, sweet dessert which can be made in fun molds. Watch out for children, they will open fridge million times to check are those yummy raspberry jellies ready. Blend raspberries with half of apple juice until smooth. Strain the mixture to remove the seeds. Add the icing sugar and stir until well combined. Heat remaining apple juice and add the gelatin. Combine the raspberry mixture with gelatin and stir well. Fill up the molds and leave it in the refrigerator to make their magic. 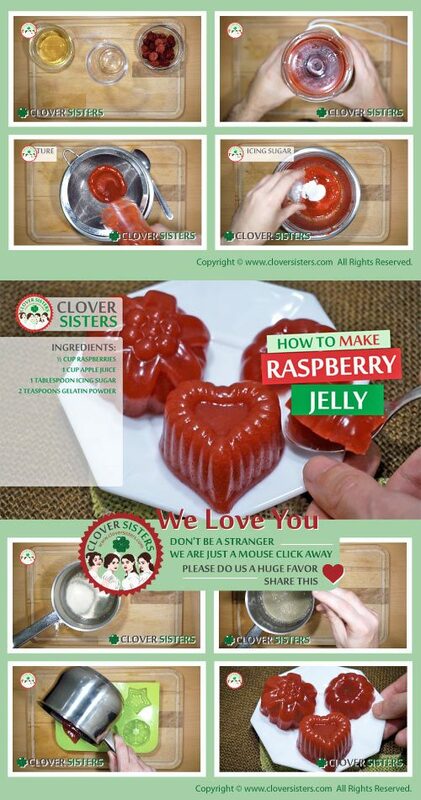 Carefully pull the raspberry jelly away from the mold.